To claim this profile, please confirm you are Trinity Billingsley. To follow this profile, please let us know your relationship to Trinity Billingsley. 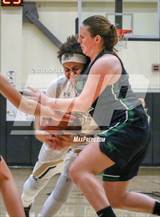 Trinity had 12 photos tagged from the game against Sonoma Valley. Trinity's basketball stats have been updated for the win vs. Sonoma Valley. RESULTWin Girls varsity basketball vs. Sonoma Valley. The American Canyon varsity basketball team won Thursday's home conference game against Sonoma Valley (Sonoma, CA) by a score of 43-41. Trinity's basketball stats have been updated for the loss @ Napa. RESULTLoss Girls varsity basketball @ Napa. The American Canyon varsity basketball team lost Tuesday's away conference game against Napa (CA) by a score of 55-44. Trinity's basketball stats have been updated for the loss vs. Petaluma. RESULTLoss Girls varsity basketball vs. Petaluma. The American Canyon varsity basketball team lost Saturday's home conference game against Petaluma (CA) in overtime by a score of 66-57. 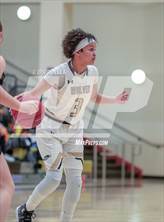 Trinity's basketball stats have been updated for the loss @ Casa Grande. RESULTLoss Girls varsity basketball @ Casa Grande. 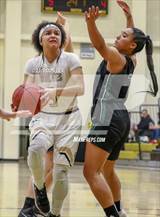 The American Canyon varsity basketball team lost Thursday's away conference game against Casa Grande (Petaluma, CA) by a score of 67-30. Trinity's basketball stats have been updated for the loss @ Vintage. The American Canyon varsity basketball team lost Tuesday's away conference game against Vintage (Napa, CA) by a score of 57-44. Trinity's basketball stats have been updated for the win vs. Justin-Siena. RESULTWin Girls varsity basketball vs. Justin-Siena. The American Canyon varsity basketball team won Thursday's home conference game against Justin-Siena (Napa, CA) by a score of 48-39. Trinity's basketball stats have been updated for the win @ Sonoma Valley. RESULTWin Girls varsity basketball @ Sonoma Valley. 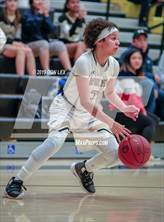 The American Canyon varsity basketball team won Saturday's away conference game against Sonoma Valley (Sonoma, CA) by a score of 57-45. Trinity's basketball stats have been updated for the loss vs. Napa. RESULTLoss Girls varsity basketball vs. Napa. 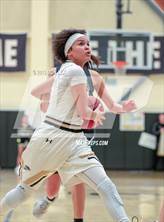 The American Canyon varsity basketball team lost Thursday's home conference game against Napa (CA) by a score of 62-53. Trinity's basketball stats have been updated for the loss @ Petaluma. RESULTLoss Girls varsity basketball @ Petaluma. The American Canyon varsity basketball team lost Tuesday's away conference game against Petaluma (CA) by a score of 57-36.